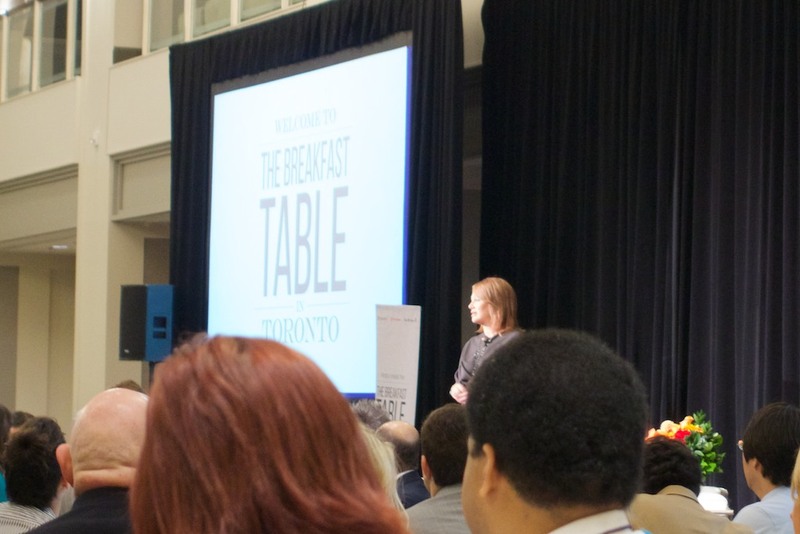 When I heard about a breakfast event for entrepreneurs hosted by Arlene Dickinson and featuring Christine McGee, I couldn’t buy my ticket fast enough! The opportunity to see those two successful, inspiring women in person is about the only thing that could get me up at 5:30 a.m.! 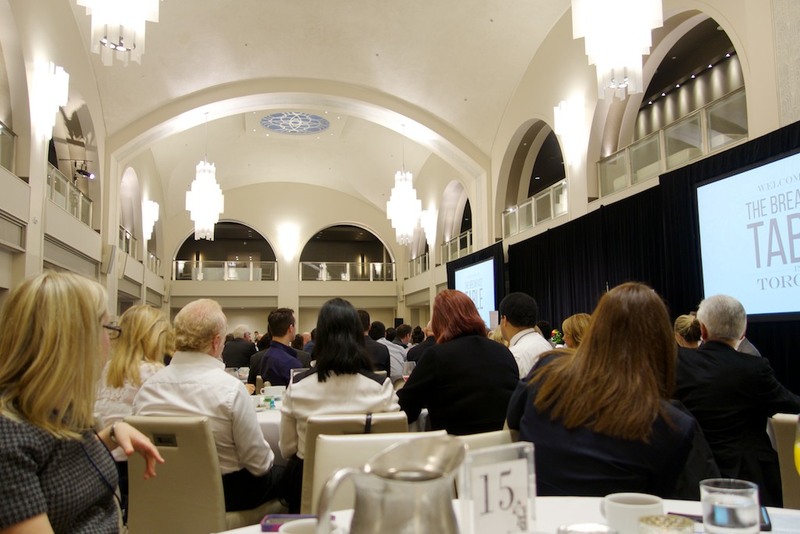 The event was held at Arcadian Court on Bay Street, and in addition to Arlene and Christine, featured a talk from the CEO of Porter Airlines, Robert Deluce, as well as a surprise Q&A session with Jim Treliving, David Chilton, and Dianne Buckner from CBC’s Dragon’s Den! I’m a long-time admirer of all these people and their accomplishments, so this was an absolute dream come true for me. The morning began with a networking period to meet and greet the other attendees, followed by a delicious breakfast. Arlene then took the stage to introduce Christine McGee, and although I was seated off to the side, it was incredibly exciting to be this close to two women who prove what’s possible for Canadian women in business. 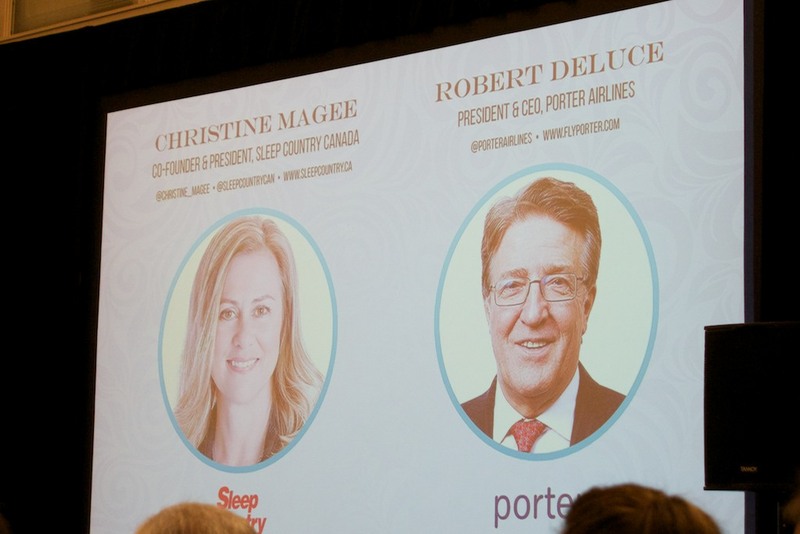 When Arlene invited Robert Deluce to join them on stage, she joked about having once had the opportunity to sleep with him. Of course she was referring to the “CEO Sleepout”, where prominent CEOs literally slept on the street in a major city to raise awareness and money for homeless youth shelters such as Covenant House. Arlene interviewed Robert and Christine about their personal experiences building companies from the ground up. They shared their stories and offered advice to the entrepreneurs in the room. One of the most important conversation threads centred on confidence, and the willingness to risk failure. Robert said everyone will have speed bumps and setbacks that will require them to regroup, but it’s important to not confuse persistence with stubbornness.